May you keep providing us, your readers, masterpieces such as this. Dear Giles, you are a brilliant investigative writer. In celebrating you, I am sharing your Untold Story with my audience. I hope you approve my acknowledging your marvellous work. Your motivation for writing your piece was that most people did not dig deep enough to appreciate the basis of the emerging hostilities between Uganda and Rwanda. Your work sheds plenty on the subject. An investigation done by ChimpReports points to deeper issues that are at the heart of worsening bilateral ties between the two sister countries. Key among the sticky issues include Uganda’s refusal to hand over traffic rights to RwandAir for the Entebbe-Kigali route. Since Uganda doesn’t have an airline, RwandAir, which is operated by the Rwanda government, requested for the rights so it could pick passengers from Entebbe for direct flights to Britain. This request was turned down, a decision that reportedly stunned Rwandan authorities. Asked why the sought traffic rights were not granted to RwandAir, Civil Aviation Authority (CAA) spokesperson, Vianney Lugya, said Uganda intends to make good use of the route in the near future. “Government is in the process of reviewing its aviation policy. This has a bearing on a number of things including granting of traffic rights,” said Lugya. RwandAir has in the last three years opened new routes, increased frequencies and acquired new aircraft. The Entebbe-London route would have increased RwandAir’s profitability after plunging into loss-making in 2016. RwandAir, according to its latest financials, recorded a $1.01 million loss in 2016, from an operating profit of $2.8 million in 2015. However, its revenues have been steadily growing, hitting $99.85 million in 2016, up from $95.2 million in 2015 and $86.8 million in 2014. 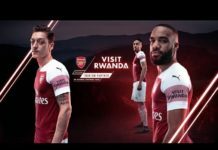 While Uganda believes it’s doing the right thing, some Rwandan officials believe those unhappy with its transformation in the wake of the 1994 genocide are fighting hard to undermine, and even disrupt, the economic growth that point to Rwanda becoming the region’s tourism hub. Uganda’s relations with Rwanda also are affected by comments reportedly made by Rwanda Defence Minister Gen James Kabarebe. A former combatant in the NRA, Kabarebe participated in the RPF war that ushered President Kagame into power in 1994. He would later take part in Rwanda’s military operations in DRC that toppled President Mobutu. He also served as Chief of Staff in President Laurent Kabila’s government before being dismissed at the height of intense tensions between Rwanda and DRC. Highly placed sources said Kabarebe has since the beginning of September upped his rhetoric against Uganda in his addresses to several groups of youth, women, traders and RPF cadres on several pressing issues including relations with Uganda. He is said to have added that while President Museveni outwardly supports Rwanda, his actions don’t support his statements. At one of the meetings held at the new RPF headquarters in Gasabo, Kabarebe was quoted as saying Uganda supports Burundi which is home to Rwandan dissidents. “What we are witnessing now is a clear plan to mobilise the population against Uganda,” said a concerned official in Uganda. Efforts to secure responses from Rwanda’s Ambassador to Uganda, Frank Mugambage did not bear fruit. “I am not available,” he told us on Monday evening. But a Rwandan official, who spoke to ChimpReports on condition of anonymity so as to speak freely, denied the accusation. But Ugandan officials say the Rwandan military leadership is tactfully mobilising its population to raise the stakes, heightening tension between the two countries. Uganda is currently mobilising funds from Exim Bank to fund the Malaba-Kampala railway line (Eastern Route). This can only start once funds are in place and Kenya commences work on the bridge at the Malaba border point. But informed sources say Rwanda believes Uganda intends to extend the Standard Gauge Railway line to South Sudan before connecting to Rwanda. However, when contacted, SGR Project Coordinator Eng Kasingye Kyamugambi told ChimpReports that government is currently prioritizing the Malaba-Kampala route. We also are informed that Rwanda is not happy with Uganda’s failure to extend power transmission lines to its border as agreed a few years ago. Under the Northern Corridor Integrated Projects Initiative (NCIP), members decided to interconnect their power lines to share energy – with Uganda and Rwanda inking a deal to construct a network from Mbarara through Mirama to Shango in Rwanda. Due to power shortage and need to rapidly industrialize its economy, Rwanda had proposed to fund the transmission project in Uganda to its border. However, Ugandan officials turned down the idea. “It would look weird for Rwanda to pay for the construction of power lines in Uganda,” said an informed official conversant with the bilateral agreement. Both countries later agreed to construct a power interconnection on their territory. Yet, Rwanda was not satisfied that Uganda was acting fast on this project. Rwanda intelligence officials believe this was a deliberate plan to frustrate its development projects. A complaint was sent through diplomatic channels to Uganda. ChimpReports has learnt that Uganda has since expressed its determination to finalise construction of the line to extend power to Rwanda by March 2018. On the Ugandan side, overall progress stands at 86 percent. Ugandan Energy Ministry officials further told Rwanda that the project was delayed by Isolux, a Spanish company contracted through an international tender to set up power substations in Uganda, Kenya and Rwanda due to financial challenges. It’s understood Uganda is in talks with Africa Development Bank (ADB) which is financing the project to continue works using Isolux. ADB, which is expected to approve the request soon, has since committed to bridge the financing gap. Officials told us that senior officials from Uganda Electricity Transmission Company (UETCL) met in Kigali recently to discuss steps taken to have the project running. In August, Rene Rutagungira, a retired Rwandan soldier formerly attached to Kabarebe’s office was picked by Ugandan security services from a bar in Kampala. The nightspot was sealed off by armed security personnel for several hours before a team of muscular operatives hit the club. Rutagungira, who had for long been suspected of conducting espionage and assassination missions inside Uganda, was put under surveillance for about an hour before being dragged out of the club. Security was able to obtain considerable information from his mobile cell phones during two months of detention and interrogation. Several other Rwandans were picked from Bukasa but released after days of questioning. Rutagungira was later charged before Makindye Military on charges of kidnapping Lt Joel Mutabazi – a former Israel-trained Republican Guard commando. Ugandan officials say action against Rutagungira was aimed at “protecting our country’s sovereignty” following several attacks and forceful repatriation of Rwandan refugees and asylum seekers. Rwanda maintains a Red Notice was issued by the International Police for Mutabazi’s arrest which necessitated all partner countries to act. Uganda police in 2013 claimed the arrest was lawful as all relevant authorities were consulted. But critics and human rights activists condemned the move, saying Mutabazi had survived a bungled abduction in Uganda in August as well as an assassination attempt in July 2012, in both cases by unknown perpetrators. The Ugandan police were informed about all these incidents and had agreed to provide him with 24-hour security. Ugandan authorities suspended the Ugandan police officer who arrested Mutabazi whom they said erroneously handed him over to the Rwandan authorities, according to a government statement. Human Rights Watch said then that Mutabazi should have been subjected to a formal extradition procedure in a Ugandan court, including consideration of the human rights implications of the transfer and his refugee status. “Uganda had granted Mutabazi refugee status in 2011, which means his risk of persecution in Rwanda had been established and recognized,” said HRW. Asked early this month to comment on accusations against Rutagungira, Mugambage said he was “not aware” of any crimes committed by the retired army officer. Following Rutagungira’s arrest, 95 Rwandans were intercepted in Mbarara before being told to return to their country. The operation involved police and military officials from Makenke Barracks, who claimed they were sending back illegal immigrants. The Rwandans were taken to Mbarara Police Station and later transported in two buses to Kagitumba border. Rwandans officials wonder why Uganda should allow in Rwandans before sending them back home. “What we see is our people being harassed,” said a Rwandan government official. The 2nd Division Makenke Barracks Intelligence Officer, Fred Mushambo said many Rwandans are illegally living in Uganda and that if they were to conduct a national operation, thousands would be deported. He said most of them sneak into Uganda from ungazetted points without any identification, threatening national security. Mushambo said Uganda is not a “dumping place for any person from any country” and that as security operatives they will not allow more illegal immigrants. He said a number of them lacked identification particulars while others were involved in criminal activities. They also, according to the intelligence officer, gave flimsy reasons for traveling to Uganda. Tribert Rujugiro, a wealthy Rwandan tobacco businessman whose impact is felt not only in Uganda but also Eastern DRC and Zambia, recently expanded his footprint in Uganda. He launched what he described as a “$20m tobacco development investment” in Arua, Northern Uganda. The Meridian Tobacco Company (MTC) factory was opened together with its farmer development program, and food crop and forestry improvement. The project comprising the USD8 million factory, USD10 million, leaf-grower program, and USD2 million food crops and forestry development, has been operational since 2015/2016. This development ruffled feathers in Rwanda with government officials wondering why President Museveni would allow their ‘enemy’ to freely operate in Uganda. Kigali says Rujugiro funds Rwanda National Congress (RNC), a Diaspora-based opposition party led by dissident General Kayumba Nyamwasa who has expressed intention to topple president Kagame. But why would Uganda risk its strong ties and cross border trade with Rwanda worth $200m (annually) by allowing Rujugiro’s to expand his business? Ugandan officials said Rwanda fell short of presenting evidence showing Rujugiro, who lives in exile in Dubai, was using Uganda to destabilize his home country. “Rujugiro has been doing business here for over 20 years. We are always looking for investors. Do we chase him simply because he is opposed to the Rwandan government?” wondered a high ranking Ugandan government official. “Dr Kizza Besigye is our main opponent. But even during his exile, his fuel station continued operating normally. Government officials fuel their cars from Besigye’s station in Nsambya,” the source added. Rujugiro claims the MTC factory directly employs 352 workers and empowers 15,000 small farmers that supply the facility, leaving a government struggling with high youth unemployment levels with no choice but support the businessman. But most importantly, Uganda believes widely-circulated documents connecting Gen Saleh to Rujugiro were fabricated by Rwanda security services. In the alleged Special Board Resolution and a Memorandum of Understanding both dated June 13 2017 and drafted by Ligomarc Advocates, Gen Saleh is authorised and accepts to acquire 15 percent shareholding in Ms Lead Tobacco & Commodities (U) Ltd.
One of Ligomarc Advocates partners Ruth Sebatindira allegedly signed both documents in her supposed capacity as director and shareholder in the company, claims she later dismissed as baseless. While Sebatindira is secretary of the company, she is not a director in the company as the documents alleged. Uganda Registration Services Bureau (URSB) also said the documents were not filed at companies registry contrary to what they purported to represent. Uganda remains wary that Rwanda could have forged the documents to show that Saleh is the protector of Rujugiro’s business interests in Uganda. As if this is not enough, Rwandan security officials have repeatedly protested Gen Henry Tumukunde’s alleged ties with Gen Nyamwasa – who is guarded at a military facility in South Africa. It’s said Rwanda intelligence services obtained a printout of Tumukunde’s phone calls with Nyamwasa. Efforts to reach Tumukunde for comment were futile as he didn’t respond to our phone calls. Rwandan officials say the alleged frequency of calls between Nyamwasa and Tumukunde were a cause for concern. It is also alleged Gen Saleh was incensed by the ‘Rujugiro documents’ that he decided to send Tumukunde to South Africa to meet Nyamwasa. Other contacts allege Nyamwasa sometimes sneaks into Uganda where he runs cells of rebel FDLR fighters. Our investigation further shows the reshuffle of heads of military intelligence; UPDF and Internal Security Organisation left Rwanda puzzled. The new entrants especially Col Abel Kanduho (CMI) and Tumukunde (Security Minister) are said to be opposed to Kigali government’s methods of work. But Ugandan officials cited several mechanisms of resolving disputes. More to this, the Rwandans are not comfortable with the cooperation of Uganda and France. For many years, Rwanda has perceived France not only as a bully but a destabilizing factor. It will be recalled that during the RPF war, Kagame’s combatants fought battles with a French-backed Rwandan army. The French provided the Hutu-dominated Habyarimana government with extensive military, and diplomatic support, including a military intervention to save the government during an offensive by the rebel Tutsi-led Rwandan Patriotic Front (RPF) in 1990. The French-backed force consisted of 2,500 troops, 100 APCs, 10 helicopters, a battery of 120 mm mortars, 4 Jaguar fighter bombers, 8 Mirage fighters, and reconnaissance aircraft. But RPF emerged victorious against all odds, leaving the French embarrassed. President Kagame has repeatedly attacked France in public for undermining his government and hosting genocidaires. Rwanda also looks at French training of a specialized unit of UPDF combatants with suspicion. Museveni recently attended a training session of UPDF solders conducted by French instructors. In the wake of these unsettling developments, diplomats are calling for caution.